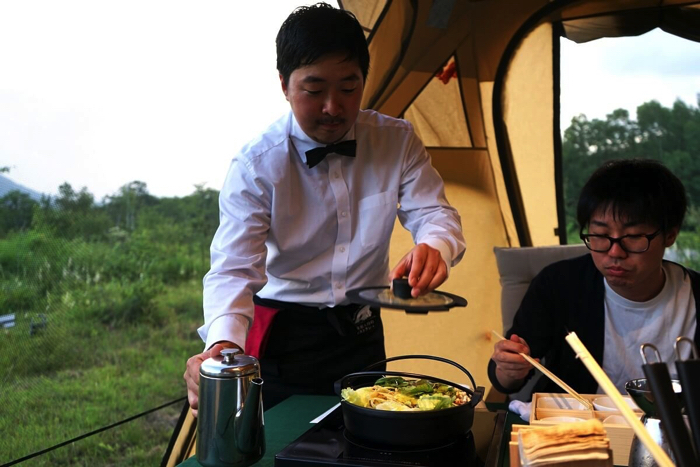 The Norikura Star & Moon Restaurant by Alps Sangakukyo EV Tourism will open for a limited time only from May 21, 2018 to October 31, 2018. Reservations open on April 16. 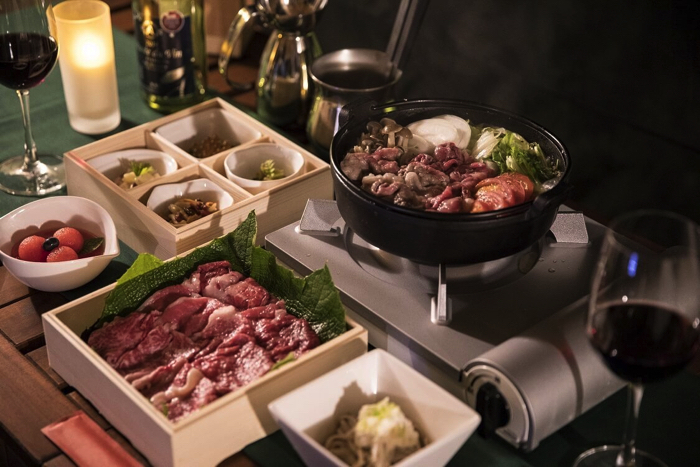 It will mark the restaurant’s second run and is mainly targeted at people who work stressful jobs in the city as well as inbound foreigners who want a full experience of Japanese nature. The theme of the restaurant is to ‘heal amongst nature.’ This year, the popular program will return once more to offer high quality healing and rest that will tie to one’s strength needed for tomorrow. 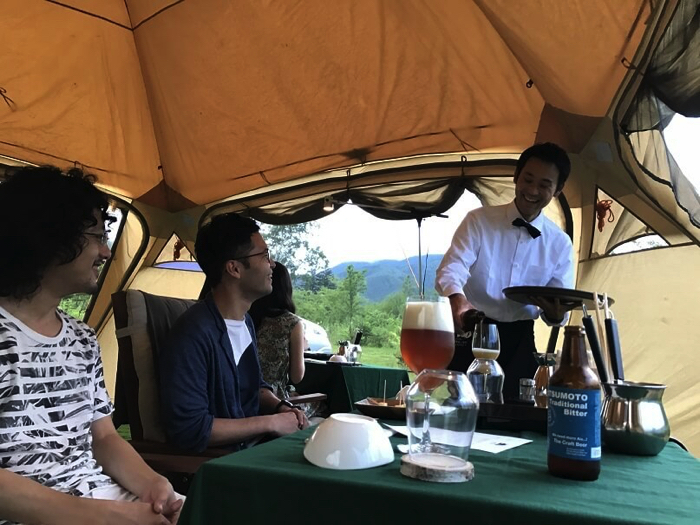 The Star & Moon Restaurant places people in the middle of Norikura’s nature expanse and serves up delicious sake from Shinshu (the old name for Nagano Prefecture) that was born from the blessing of nature together with food made with plenty of local ingredients. 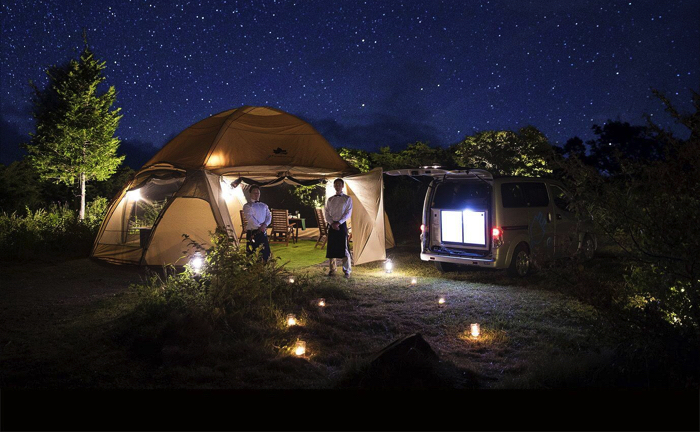 Enjoy a premium outdoor dinner with hospitable and warm reception from local concierges who have lived together with nature. 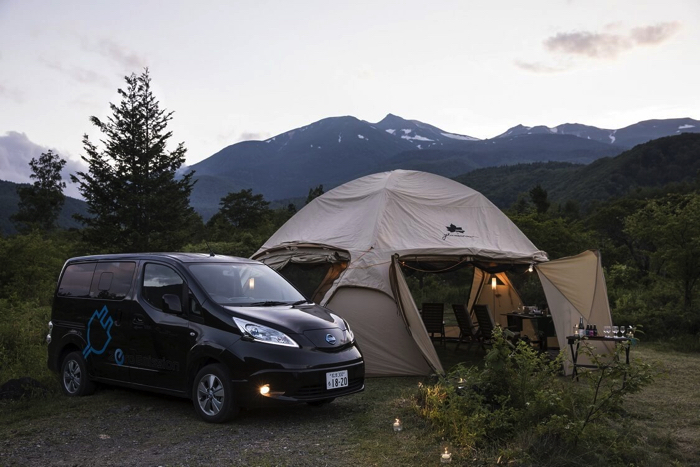 All the electricity needed for the lights and cookware in the restaurant is powered with electric motors meaning you can enjoy your meal in a luxurious, quiet space in nature without electricity. 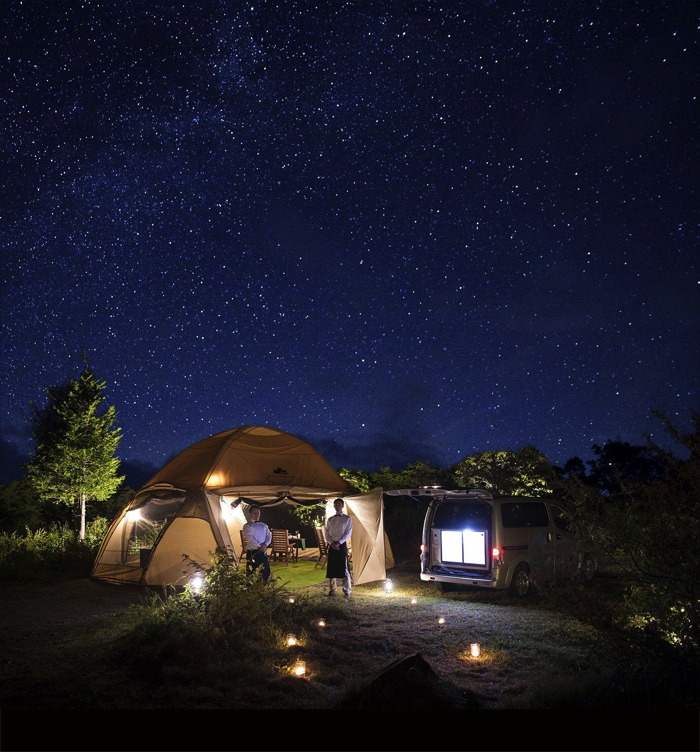 The dinner, which is eaten in an open atmosphere, will ease everyday fatigue, and enable you to experience eco-glamping in a place you’d never get to in the city and remind you of nature’s awe. *Price includes beer, wine and soft drinks. *Those aged below 12 are not permitted. *This program is limited to guests staying at Shirahone Hot Spring in Norikura. *Fee charged for certain alcohols (card payments only).